Back here for our summer break from the Florida Keys it has been great at last to meet up with Rupert Drury. 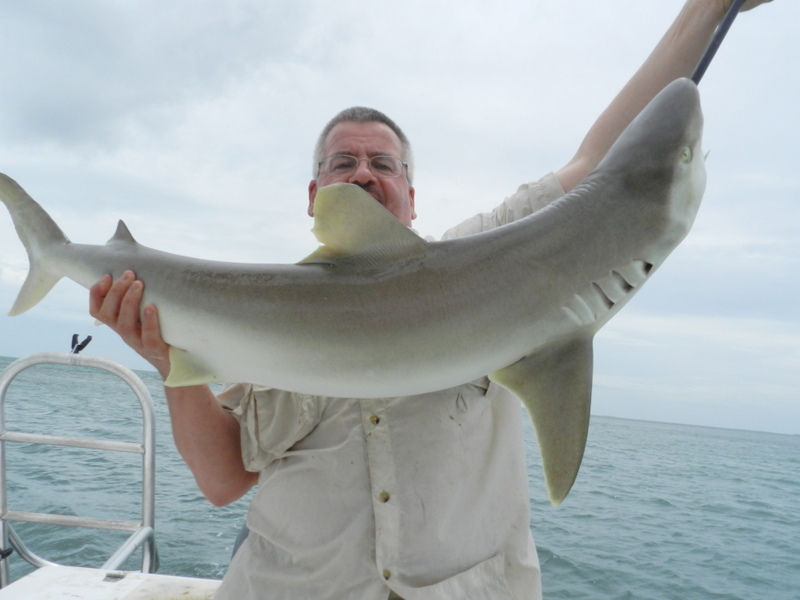 Rupert shares my passion with shark and shark fishing, in the Florida Keys we are spoilt with shark. Our boat PB weight was Lee Jasper’s hammerhead at well over 1000 lbs and pulled his string for over 2 hrs. Boat PB for numbers in one day is now 68 and the guys were totally wrecked and had to stop. 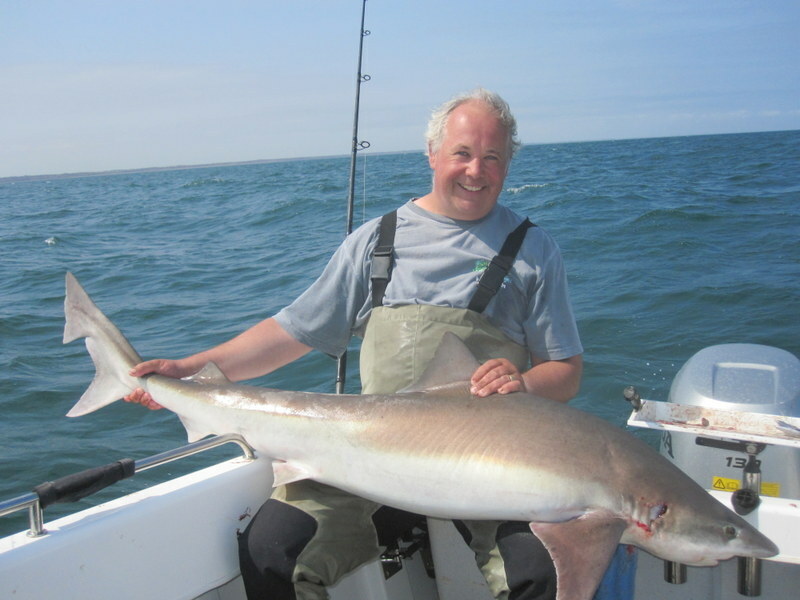 Here in the UK and up here where I live we are not so lucky but Rupert is one of a very small group who have had porbeagle in the north sea. We had one go last year and maybe had one pick up but will be back out again this year. On getting back to the UK Rupert emailed me, how about a go for the tope in my new boat. Well it must be nearly 20 years since I have had a tope so the answer was just let me know and I will be there. Well yesterday I made the drive to Rupert’s and we took his Warrior boat with a 130 hp Honda and launched near Hornsea into the less than perfect north sea not a place that springs to mind when you talk about tope fishing. Mackerel were a bit tough to find but with half a bucket full and the weather not any better it was off to one of his tope marks. Well with the rods out it was the waiting game then my rod tip went round and with the drag screaming it was fish on and fun it was the Snowbee 12lb deep blue rod had it beat and what a fish near if not over 60 lb stunning. We went to boat 4 and lost just 1 in just a few hours, Rupert had the big one and after taking the measurements this fish worked out at 71 lb . This does go to show if you look and do something a bit out of the box you might just be surprised. 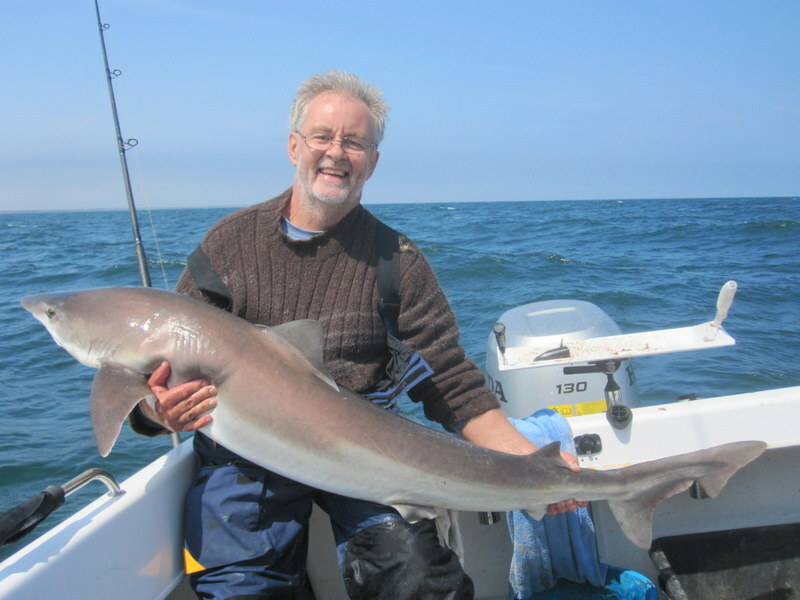 The memories came flooding back of days in Luce Bay where you expect to get tope and I have had many. These fish were a lot darker but in fantastic condition as you can see now we just have to plan the porbeagle trip and many thanks Rupert. We are now taking bookings very fast for autumn and winter fishing holidays. Maybe it has been the very poor summer or just more people just like the variety of fish and fishing we have in the Florida Keys. 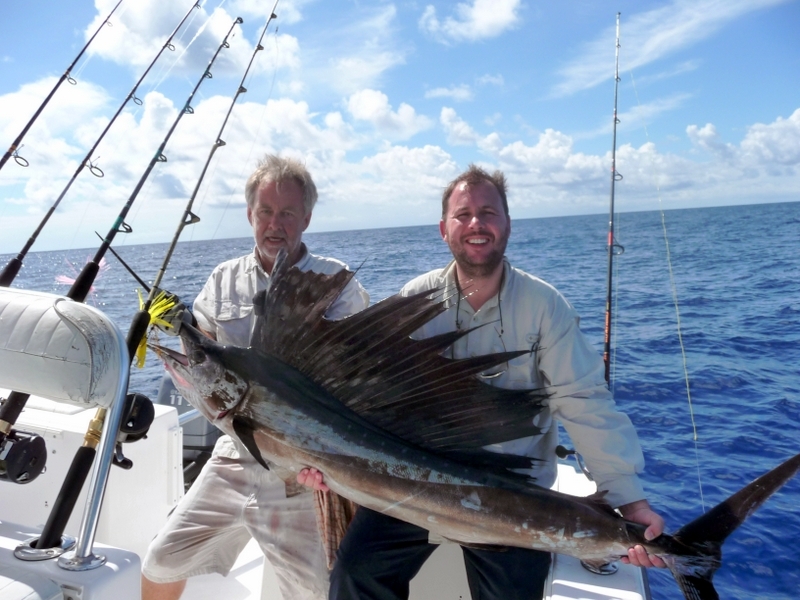 Two fish I personally look forwards to at this time of year are sailfish and blackfin tuna. The sailfish has to be one of the most colourful fish in the sea and no picture or video even comes close to a fish at boat side. Just how they light up their fins is amazing but a sight every angler needs to see at least once. 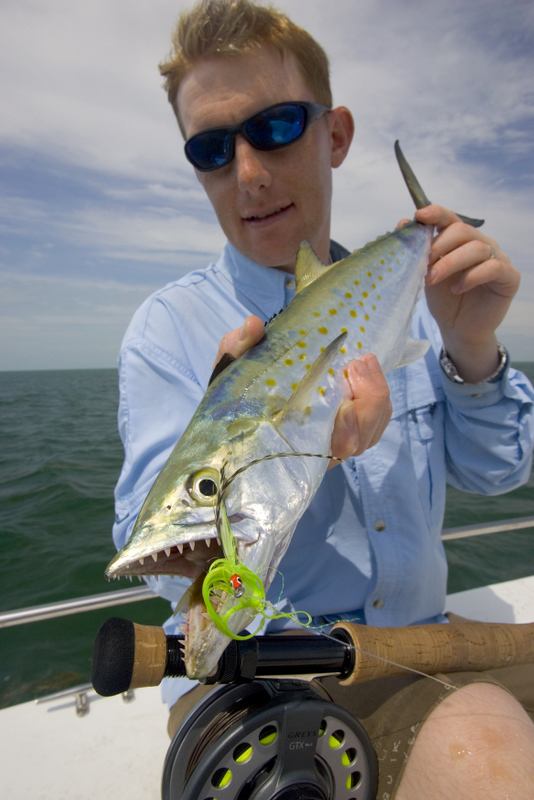 Most are taken trolling but we have sight casting live bait and even had them on the kite. However you take them they always put on a show you will remember for a very long time, tailwalking is a phrase made for sailfish. 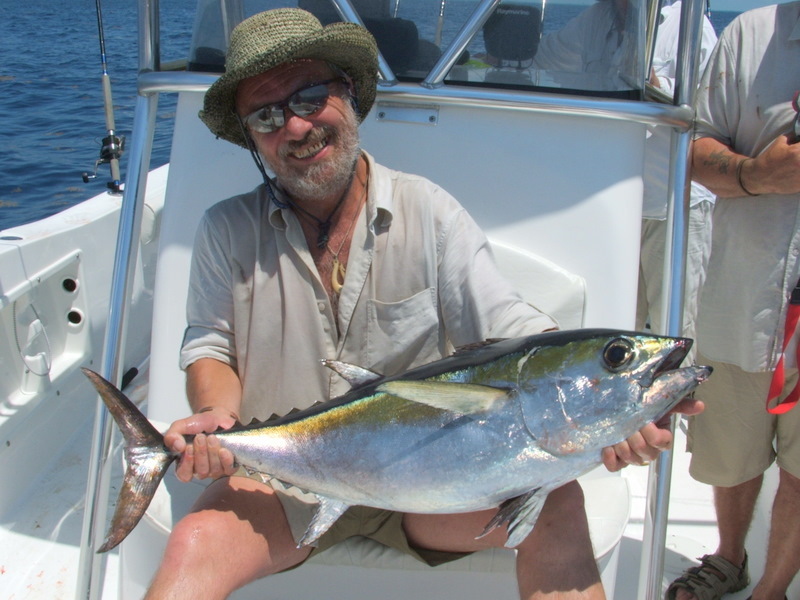 Our tuna fishing has changed a lot in recent years now it is not just dragging bait in the normal trolling spread. Turning up at the tuna grounds at sunrise is still a very special experience first the sun gets stuck with a classic fish tale sunrise then the first bird then the first tuna then the first fish on cry. More and more boats are now not trolling at all and the butterfly jig is taking over allowing you to find the fish that never come to the surface. Hard work it might be but when the rod goes solid at 90 ft in 500 ft it is all worth it. Tuna never never give up even at boatside the rod is still nodding as the fish still swims in circles with a power it is hard to describe. While all sailfish are released with care and we swim them till they have recovered I make no apologies to the fact we take a few tuna for the table. We have even had people on fishing holidays who dont like fish but the taste of fresh tuna just seared on the barbie has changed their minds. The one thing that still blows me away about the Florida Keys is the number of variety of fish. In over 7 years of doing fishing holidays we have now had 109 ( possibly ) 110 different species to the boat. We at Fish the Dream have a boat that can nearly do it all from the tuna grounds some 25 miles offshore to the flats and all the shallow water in Florida bay. Being able to fish anywhere and a very safe boat, you fish in not on top of the boat means we can target all these different fish. With the tarpon run now over and what a season two huge fish near if not over 200 lbs both fights lasting over 3 yes 3 hours we now look forwards to our autumn and winter fish. We made the decision not to fish the summer we did when we started but the worst year we had 4 hurricanes and just the evacuation and the mess when you get back not worth it. We start again in October and one fish I look forwards to is our mackerel. Top of the list is the king mackerel we have had these to 40 lbs and I just can’t describe how hard they hit the bait. In fact that is how they feed a very fast killing strike then they come back to feed on the bits. 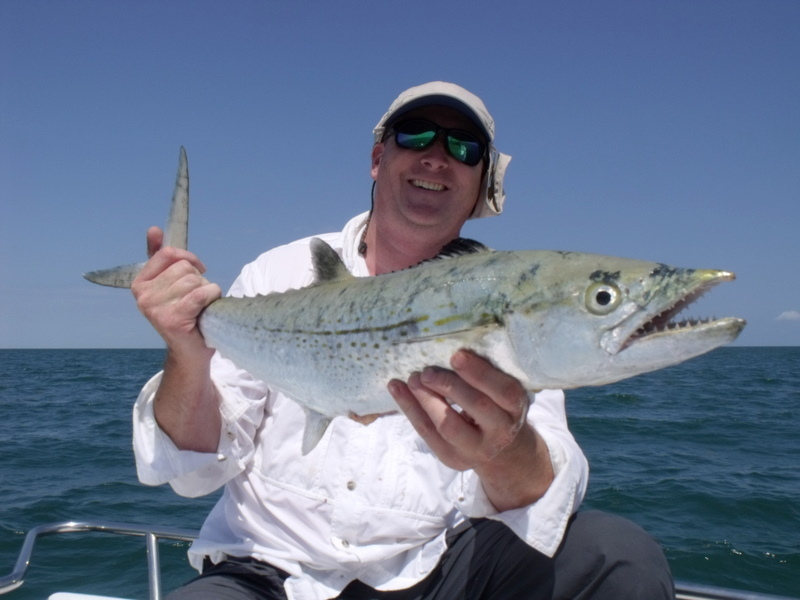 Our two smaller mackerel are the spanish and cero we have had these to nearly 10 lbs both so much fun on light tackle. 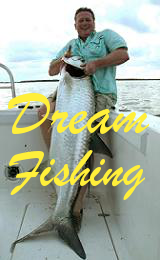 Both will take any thing fly, spin, livebait and jig and are with out doubt are best shark and grouper bait. One memoire I will have for a very long time is the look on Rob Shipleys face just after a long fight with a king when the second he put his bait back in an other big king took him again. The cero are also some of the best sushi you will ever taste and very fresh and bleed spanish hard to beat on the barbie. The other joy of late season fishing it is our dry season and a little cooler just high 70’s and low 80’s when the weather in the UK is normally going downhill. For the last few years I have been involved with the tackle company Snowbee developing new rods for the US market. A couple of months ago we launched our Mk 2 range of rods and these are amazing the anglers and bring the fish back to the dock. We started off with the already excellent Deep Blue boat rod and made a few changes. The guys over there wanted a slightly sorter rod and the pro anglers on the kingfish tour wanted a very soft tip. 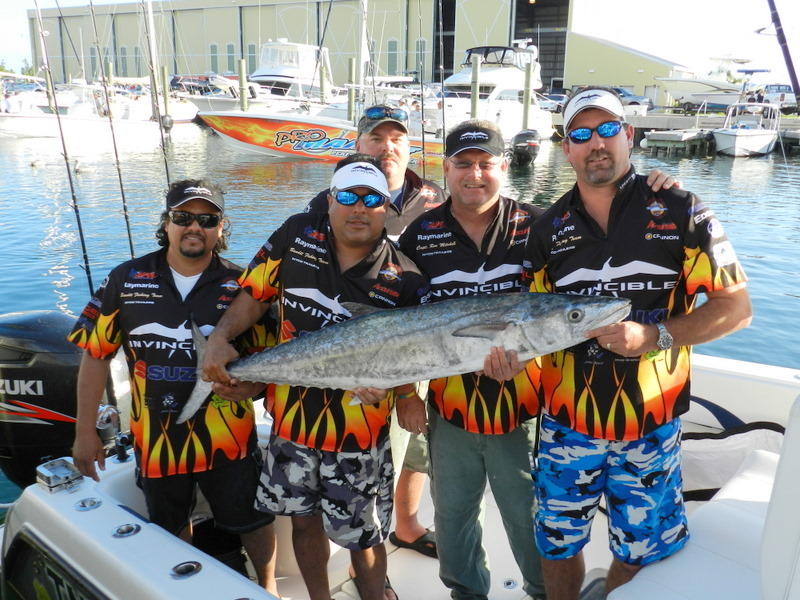 We were more than lucky to link up with Capt Ron Mitchell and the pro team Bandit who has helped out no end to get the kingfish rod right and now describes it as the best rod he has ever used. The difference between the first rods and the Mk 2 is the rings these are now twin leg and made from 100 % titanium alloy the strongest, lightest and completely corrosion prof ring on the market. Capt Ron is already having a cracking start to the season of the over 70 fishing the pro tour this year he is 3 rd in Pro Tour and 2 nd in division 8 and 3 rd in division 10. If any fish is going to test a rod it is the king mackerel and this year he has had fish of 42.17 and 45.17 I was on the boat when he had the 42 and the way the tip worked was amazing. 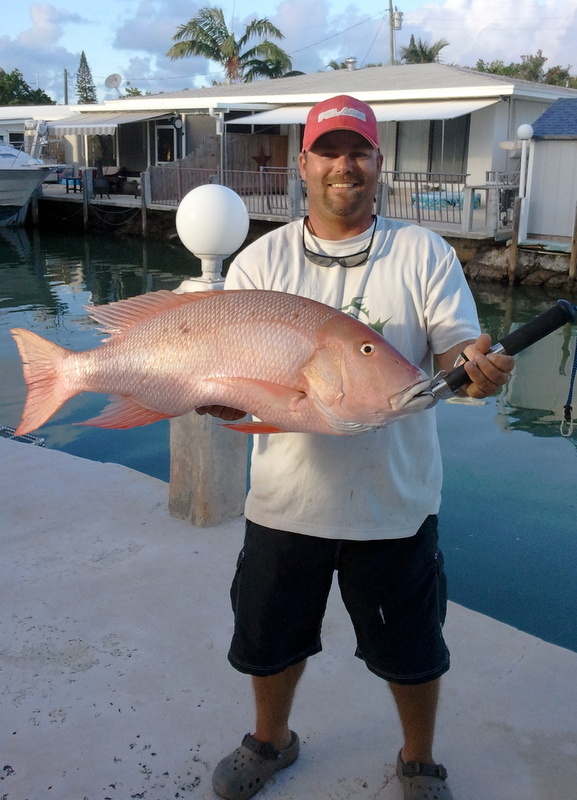 The standard rod is also doing the job we have one on a guided boat in the Florida Keys and just the other day the capt had a fine 25 lb mutton snapper and emailed me the pic and comment ( Hey the rods are awesome put a Finor 20 on and went for muttons. Had this 25 lb fish in over 200 ft and the rod ripped him up no problem and felt good doing it ) Snowbee are certainly getting into sea fishing big time and are coming out with some very good tackle it is more than worth it to check them out at www.snowbee.co.uk if it works on these fish it will work any where. After speaking to Russell Weston at Snowbee there is more than a good chance that these rod rings might appear on UK rods just keep a regular look on their website and they often have deals on tackle at the main factory. Sorry for the lack of posts been offline for six days, hols in Tuscany drove 25 km to an internet cafe half an hour to park and walk then found he was down as well. We have been going to Tuscany now for 4 years mainly for my wife Helen to enjoy the outdoor concert of Andrea Bochelli not my cup of tea but as Helen’s MS gets worse any smile I can put on her face ok by me. After a few weeks back from the Florida Keys the weather in Italy was just fantastic from low to mid 30’s and dry and sunny every day. 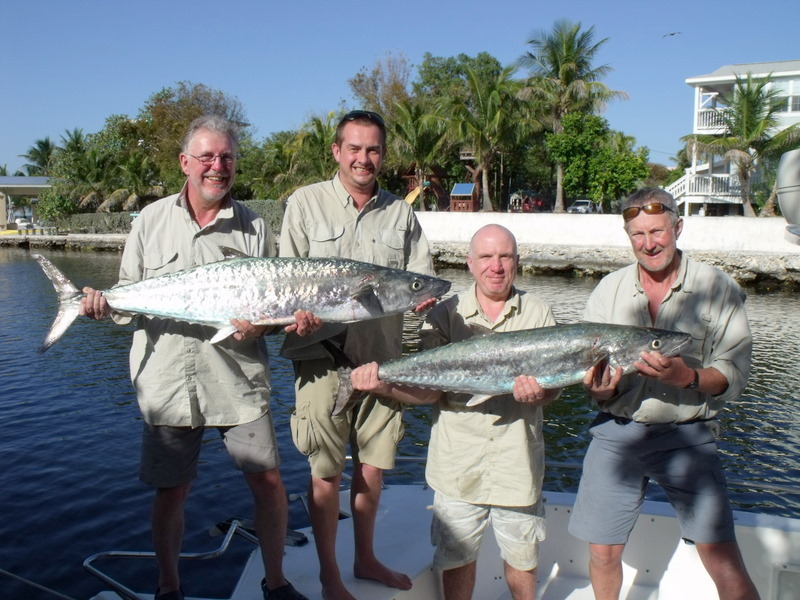 So what does a guy who does fishing holidays in the Florida Keys do when he is on holiday well he goes fishing. 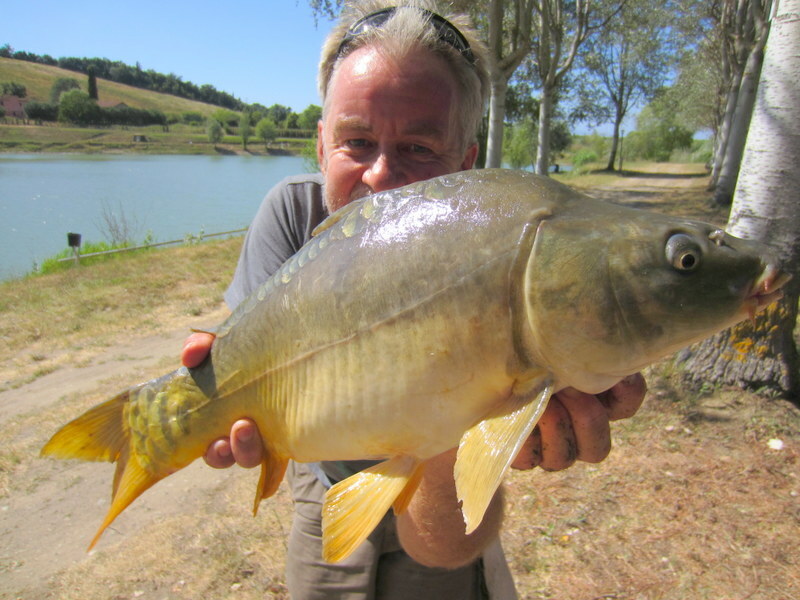 Two years ago I found a flooded quarry that had been turned into a commercial fishery and is fantastic, clean beyond words a nice cafe, bait shop, and so well kept the locals come for lunch on the weekend. After watching the locals smashed up on their poles this year I decided to be a bit radical mainline 4 lb to a number 14 hook no silly shot just a self cocking float. Despite an air temp 35 and full sun and the fishery only opens at midday the fish feed all day amazing or what. Well both days I fished I had carp to just over 5 kg nothing big but all went like mad and this year I did not have as many break off and caused a stir with the big one. Strange must be the Florida Keys effect just looking at these fish I thought what good baits they would make for our Goliath grouper. When I mentioned this to the owner and told him just how big the grouper get to he just said with a smile , you are a bad man , not sure he understood. 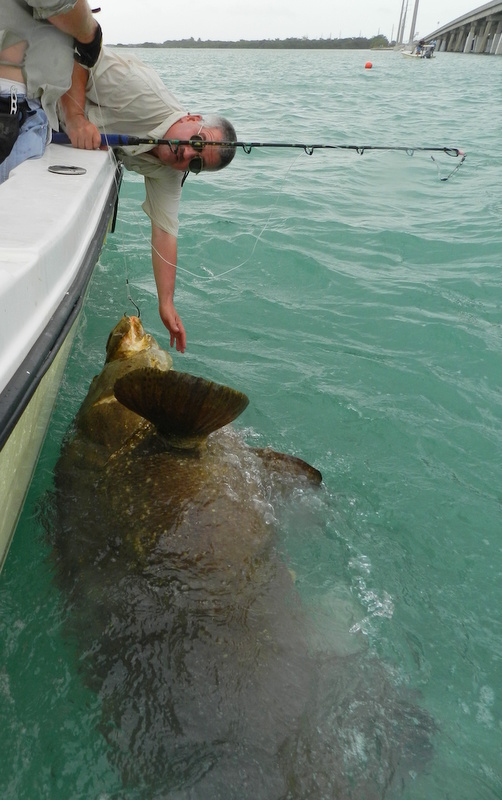 One of the most recent success stories in the Florida Keys has been the come back of the goliath grouper. In 1999 a total ban was put on the taking of goliath which were on critical low numbers and now just thirteen years later we have a thriving population again. 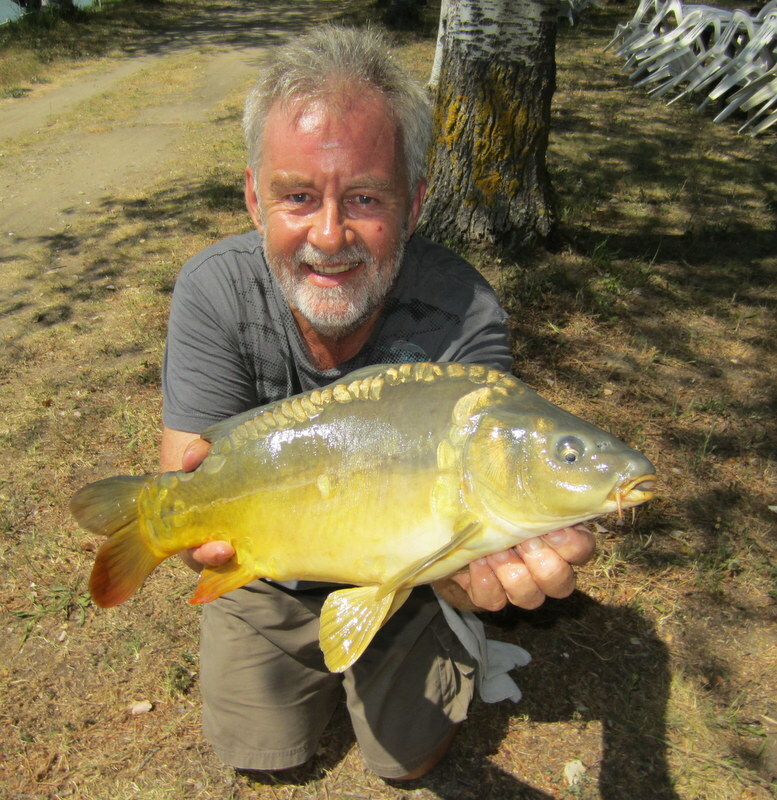 On the wish list of guys on my fishing holidays a very big fish is very high up the list. 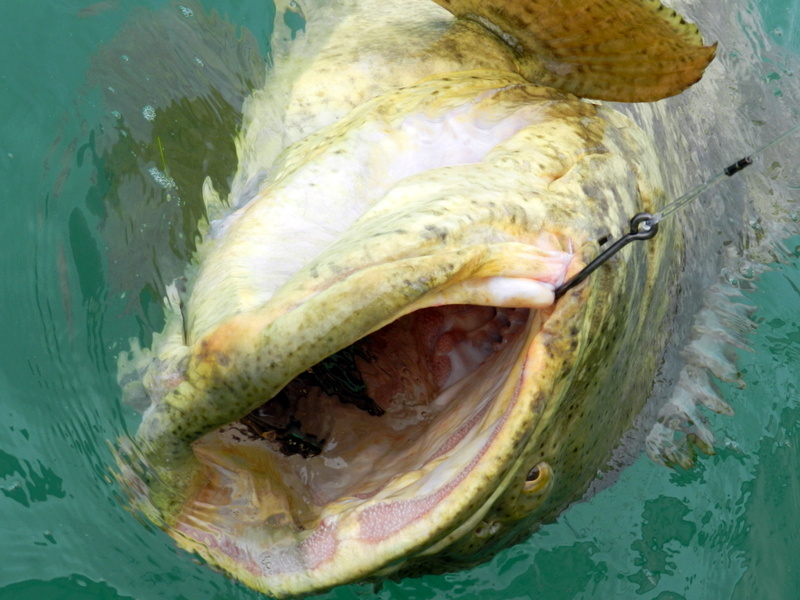 Well the goliath does this and then some fish over 100 lb are very common and we have now had them over 500 lb. Lucky for me they are not seasonal and we now have four wrecks in shallow water were they are there ever day. I still have to thank Jim Whippy for coming up with the Whippy walk a proved method to get the big ones back to the boat. After a recent talk to a diver at N.O.A.A National Oceanic and Atmosphere Administration he has asked if we would like to get involved with research on these fish. When we get back to the Keys I will be getting the necessary permits to tag these fish and take a few basic details and check for recapture. As we now only use large 22/o circle hooks and nearly 100 % are hooked in the corner of the mouth and the barb is crushed all go back very strong. It is ironic as a boy I wanted a career in marine biology and some 40 years later I am getting a start and it will be nice to put something back. As a sport fish they are right up there no long runs but the power is something else more than once I have seen a fish drag two yes two men right down my boat to the transom and take drag on a 80 lb braid reel locked down. Just how big was that fish at Bahia Honda the other week we will never know, there are fish down there close to if not over 1000 lbs awesome or what ? It is now hoped that they will come back on the take list and the local talk is of a one fish per boat limit with a tag system as per deer and a very large slot size we will see and if my data helps in any way I will be more than pleased. The one thing that still blows me away after doing fishing holidays in the Florida Keys now for over 8 years is that we are still catching new species. We have been very lucky and had some rare ones, giant sawfish, ribbonfish, bigeyetuna and snowy grouper just to name a few in fact the list now stands at 109 and if last weeks fish is a new one it will be 110. The new one, a shark was caught be Dave on a bank some 5 miles north of 7 mile bridge. This bank is about half a mile long and comes up to just 6 in so calms the sea in a south or north wind, a bad day spot but always has barracuda and jacks. We were fishing a deeper cut on the bank and Dave was floating a bait down when fish on and this was on a sporty rod and gave a good account of its self. I pride my self in knowing my Florida Keys shark but this one was different, same size as blacknose but a much rounder head and stocky body. I will be sending pics to shark guys in Florida so I will let you all know if it is number 110 or not. We are back in the UK for our summer ( hurricane ) break so if you have any questions about our fishing holidays phone ( 01668 216173 ) or email rdngd@aol.com and I will call you back. If you like catching fish and want one as big as yourself and fed up with the UK weather please get in touch but we are booking up fast so don’t leave it to long. Comments Off on Number 110 ?